Android and Chrome OS finally joined hands at the Google I/O 2016, when Google announced that Android apps will be compatible with Chromebooks. Google has already rolled out compatibility for the first Chromebook – the Asus Chromebook Flip. Hence, allowing users to install Android apps on Chromebook from the Google Play Store. If you’ve already done this and want to share your success with us, let us know on the Updato forum! Support for Android apps will also be landing to two new devices in June/July – Acer Chromebook R11 and Google’s very own Chromebook Pixel. There is a gigantic list of Chromebooks that will receive the Android compatibility feature later in 2016/2017, which you can know more about here. The Chrome OS 53 alpha version is the update that brings Android app support to Chromebooks, but it is available for use only under the Dev channel. 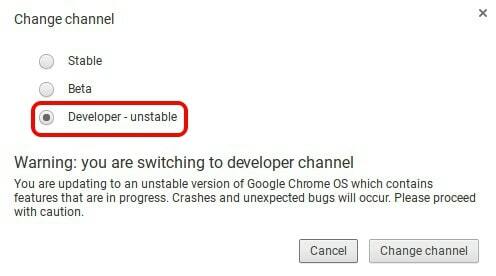 You will have to switch from Stable to Dev channel to try out the new features, but it may bring some instability to the OS as well. 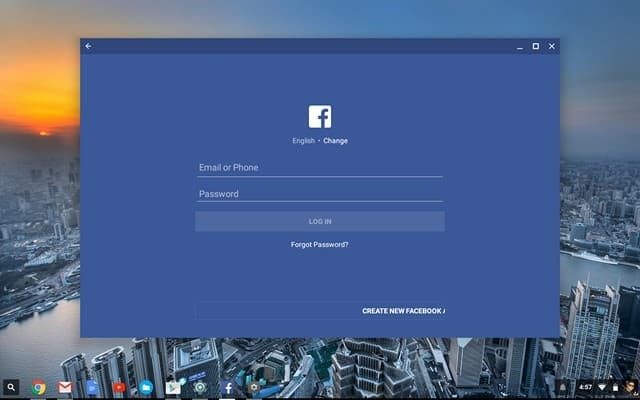 Go to Chromebook Settings and click on “About Chrome OS” button at the top of the window. Click on “More info” under the “Check for and apply updates” button and then press “Change channel”. Press the radio button next to “Developer – unstable” and press “Change channel” to confirm your choice. 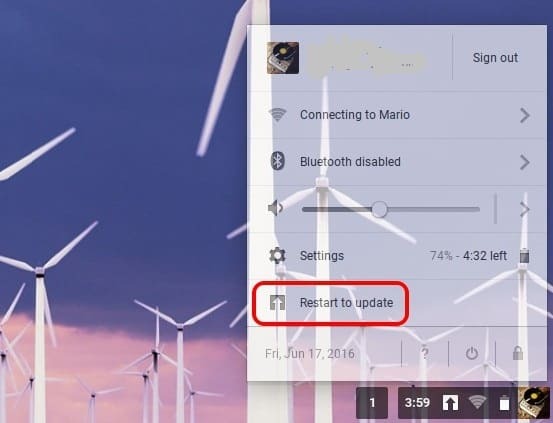 You will be able to see “Restart to update” button in the status area, so click on it to restart your Chromebook. 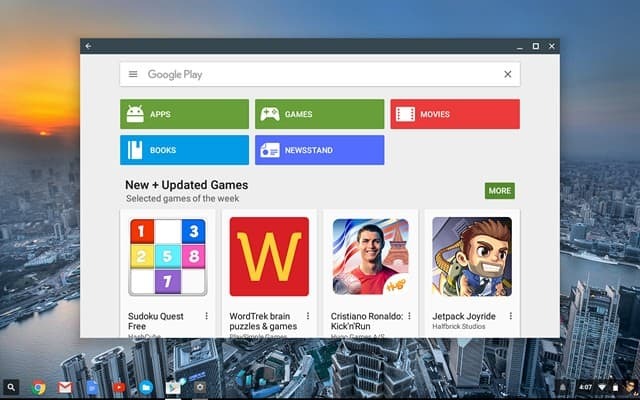 Once your Chromebook reboots, you will be able to see the Google Play Store icon on the bottom shelf. The first time you click on Google Play Store, it won’t start up, because you have to enable Android Apps to work with Chromebooks first. 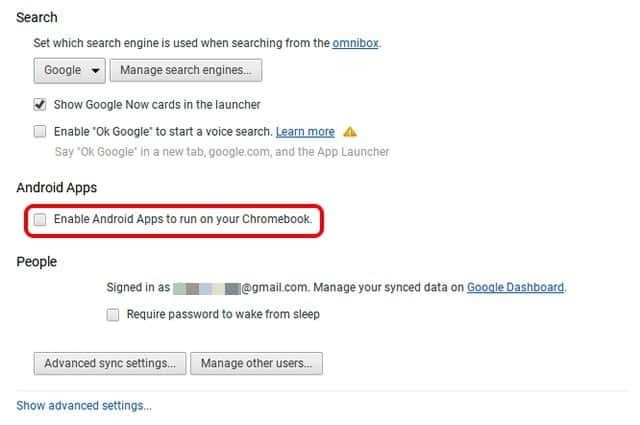 So head over to Settings, and check the box next to “Enable Android Apps to run on your Chromebook”. Remember that you must be logged in as the administrator to enable this feature. Now that you have enabled Android Apps on your Chromebook, head over the desktop and click on the Google Play Store icon to open it. The current version of Google Play Store works exactly like it does on the Android OS. The app window appears just as it would on an Android tablet, and you can practically install any app on the Chromebook. Simply type in the name of the app in the search bar and press the “Install” button to get the Android app on your Chromebook. However, there are certain limitations of course, since the feature is still under development and might crash sometimes. Moreover, the app window cannot be resized, and the apps run in a single fixed window, although they can be moved around. Will the ability to install Android Apps on Chromebook finally convince you to adopt Google’s Chrome OS? Let us know your opinion in the comments section below.